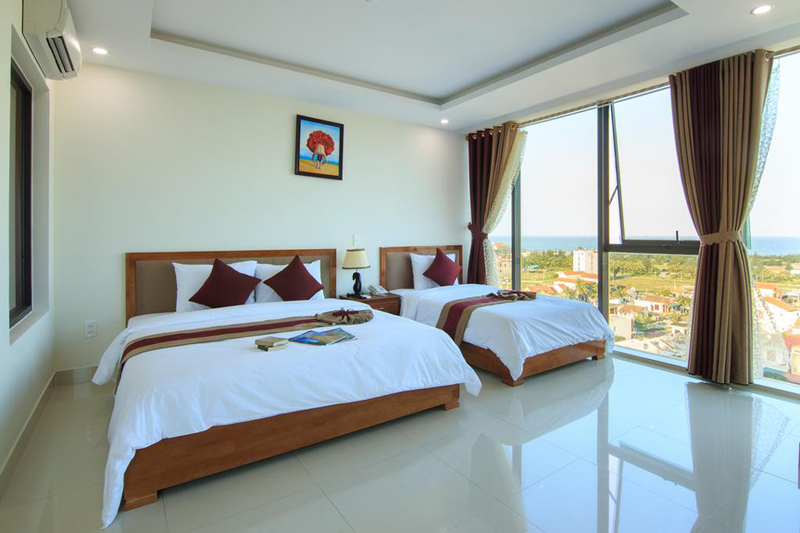 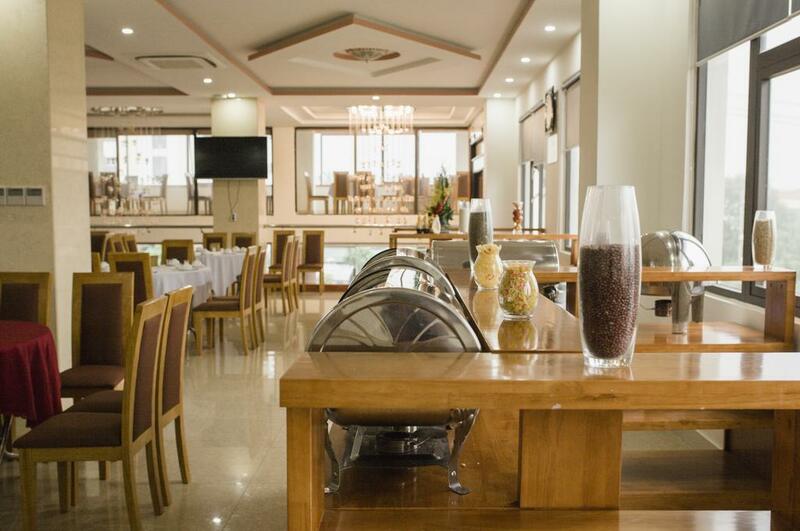 Amanda Hotel Quang Binh is one of the most beautiful hotels in the heart of Dong Hoi City, overlooking the scenic Bao Ninh beach and Nhat Le River. 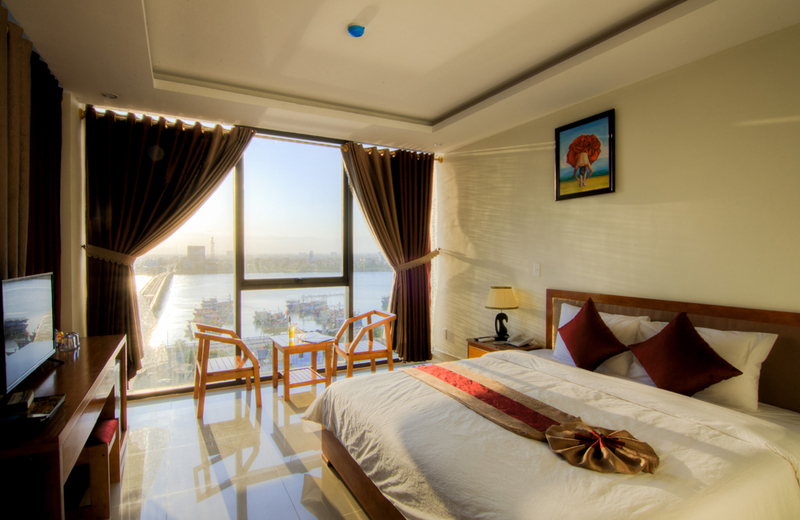 Located at a prime location with a side of the river and a side of beach, just 3 minutes walking you are be able to immerse in the blue waters of the ocean. 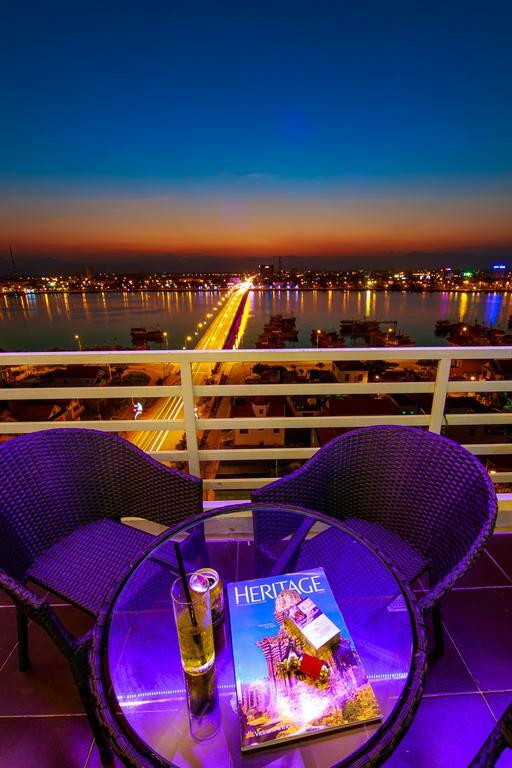 Especially, at the Amanda Hotel – Quang Binh, you can enjoy a panoramic view of the sea and the city from the café on top. 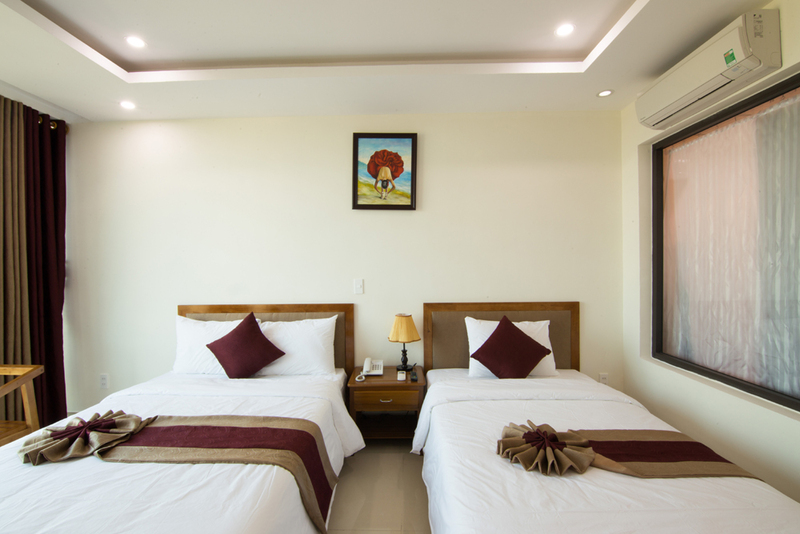 The Amanda Hotel – Quang Binh is a modern accommodation which is equipped facilities in 60 rooms consistent with international standards. 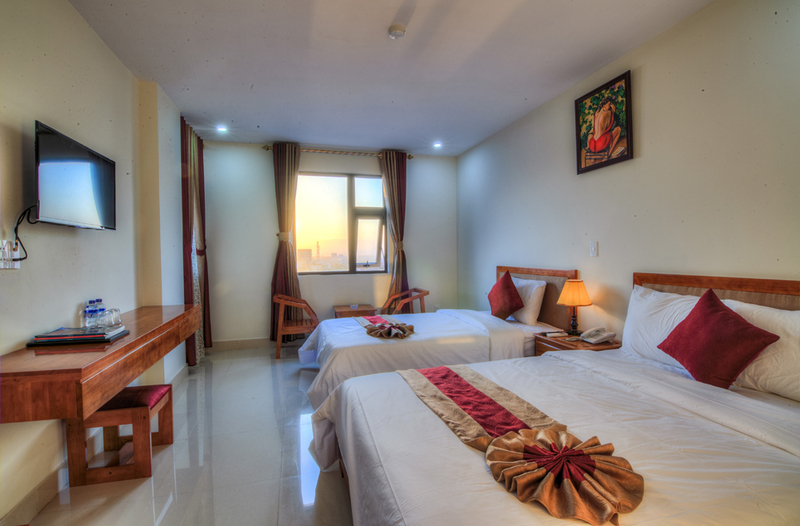 It is inclusive of 2 type rooms: Superior and Deluxe with city view and ocean view. 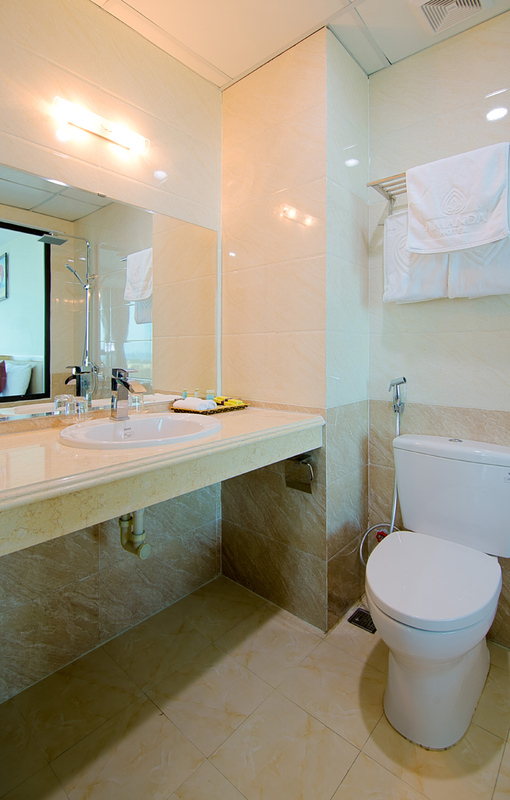 At the hotel, all rooms include a desk, a flat-screen TV and a private bathroom. 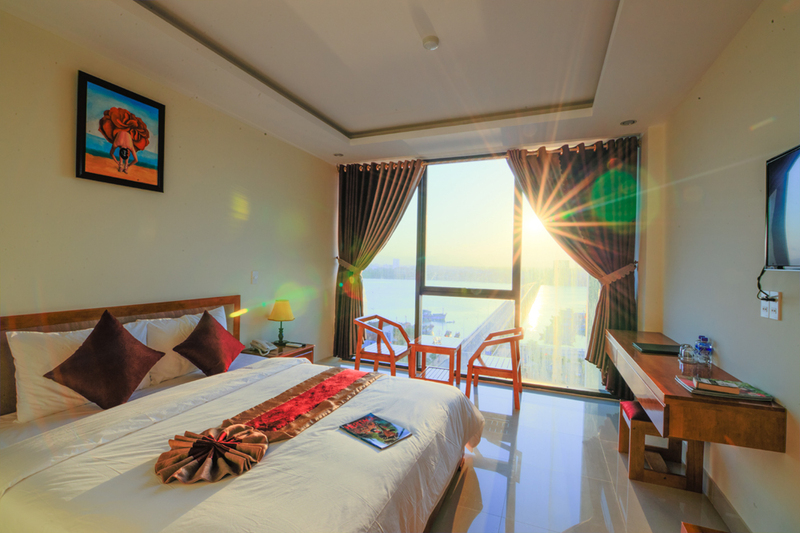 Featuring a 24-hour front desk, this property also provides guests with a terrace. 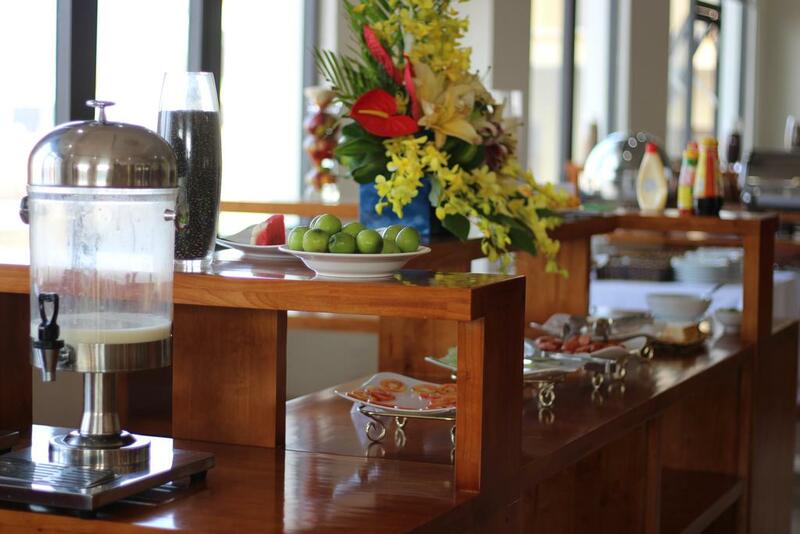 Guests can enjoy a selection of Vietnamese dishes in the in-house restaurant. 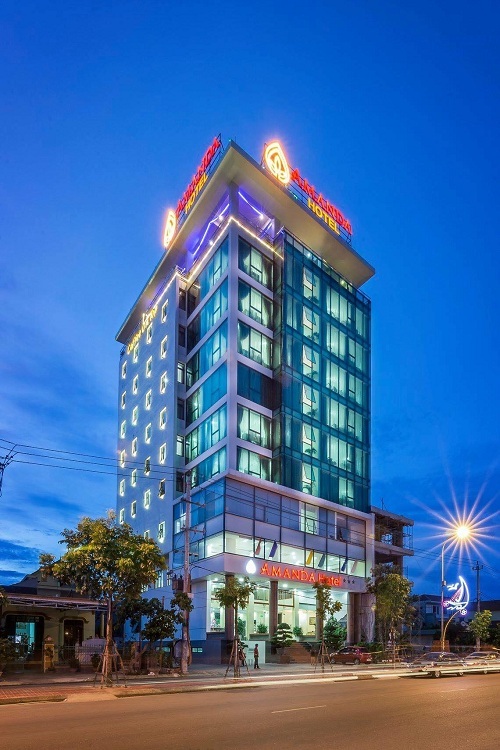 The nearest airport is Dong Hoi Airport, 5 miles from the property.